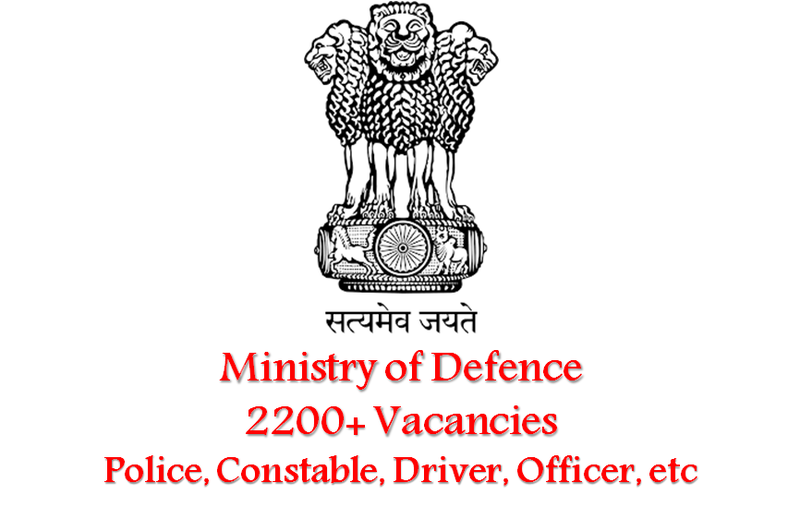 If you are hunting for govt jobs in Army, Navy or in Police Paramilitary force do not look further as Ministry of Defence has recently announced of more than 2200+ vacancies for 10+2 and graduate candidates. Ministry of Defence actively participates in the recruitment and selection procedure of candidates. This Indian Ministry announces of vacancies as and when they arise and select talent and able personnel into the defence paradigm of the country. Ministry of Defence invites applications from interested and eligible candidates round through the year for various army headquarters and battalions. Every year the recruitment process receives an overwhelming response from army and police job aspirants. Huge numbers of vacancies are open for recruitment at Border Roads Organisation (2176 Driver, Supervisor, Typist, Multi Skilled Worker, Operator, welder and others). Candidates should note that only those who satisfy the eligibility criteria set by the Ministry can apply for the post. In addition to this, candidates are also required to fulfill the physical standards & measurement prescribed. Candidates should take proper care and not fall victim to any fraudulent links and sites. All recruitment related updates will be available on the official website of the Ministry, first. Therefore candidates are suggested to follow official web portal in this regard.